As usual, Warner Bros. hosted a huge presentation at Comic-Con’s Hall H…literally. It was no surprise when the curtains on both sides of the room pulled back to show off extended screens. The first film showcased was Guy Ritchie’s new action film, The Man from U.N.C.L.E. Ritchie was unable to attend the panel, but stars Henry Cavill, Armie Hammer, Alicia Vikander, and Elizabeth Debicki were on hand to present a new extended look at the film, which comes out in a few weeks. Armie and Henry discussed working together and nailing down their accents for the role. Armie plays a Russian spy, so it was a bit jarring to see him tackle a different accent. From the footage, he sounds pretty consistent, though. The rest of the cast took a moment to talk about their characters in the film. If there is anything that sells The Man from U.N.C.L.E., it’s the astonishingly good-looking and talented cast. The footage screened gave a bit too much of the film away and didn’t seem very cohesive in terms of plot. But it’s only a trailer, and I’m curious enough to check it out in the coming weeks. Also curious about The Man from U.N.C.L.E.? You can watch the entire Comic Con panel now. One of my most anticipated films of the year is Pan. Not because I’m a huge Peter Pan fan, but for the fact that one of my favorite directors is Joe Wright. Wright’s films are always gorgeously directed and moving, and from the footage and trailers, that also seems to be the case for Pan. 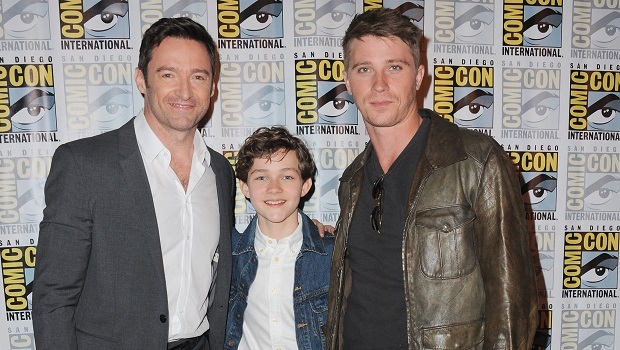 Wright was at Comic-Con with Hugh Jackman (Blackbeard), Garrett Hedlund (Hook), and newcomer Levi Miller (Peter). They discussed the film and this new twist on the classic story, which seems very interesting. I’m curious to see this prequel of sorts and how these iconic characters become the people we know from J.M. Barrie’s story. Wright and the cast shared good perspectives of their characters and the story during the panel, which you can watch in the video below. DC Entertainment’s portion of the presentation began with Suicide Squad director David Ayer stepping on stage to introduce us to new kind of comic book story to hit the big screen. Ayer gave us a first look at Suicide Squad, which you can now watch here (and also find out why we think Margot Robbie’s Harley Quinn is best part about it). Because they are still in the middle of shooting, the cast (minus a Mr. Jared Leto) came on stage to say hi to the audience and quickly left to head back to set. 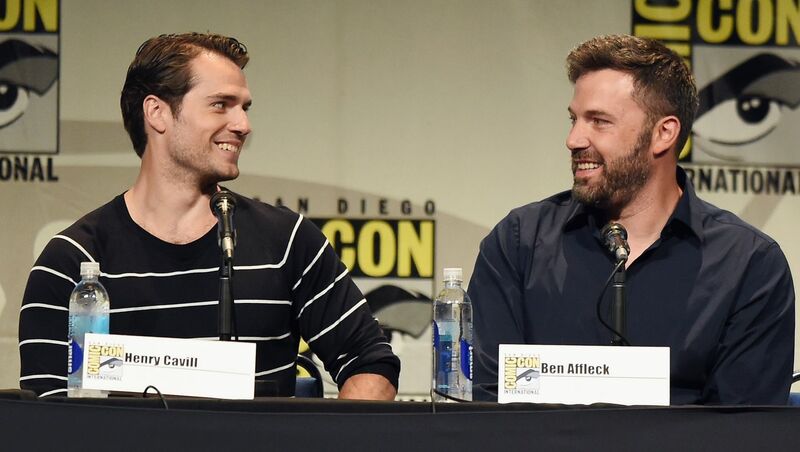 Finally, the panel that had everyone buzzing all morning: Batman v. Superman: Dawn of Justice. Moderator Aisha Tyler brought director Zack Snyder on stage to introduce a new full-length trailer for the Man of Steel sequel. This new trailer may not be as impressive as the Suicide Squad first look, but it gives us a better idea of what Batman v. Superman will be about, showing more of the cast than the previous teaser did. 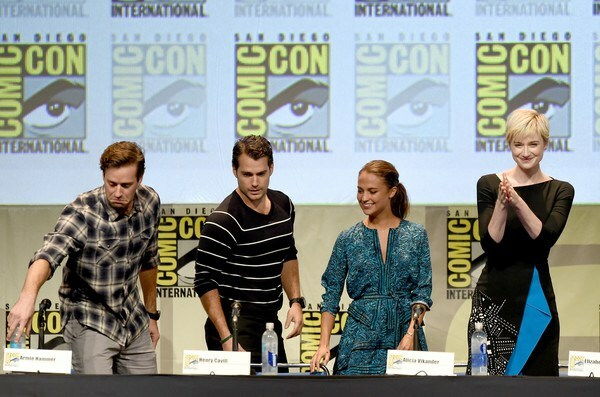 Shortly after the trailer debut, the rest of the cast walked on stage, including Ben Affleck, Henry Cavill, Amy Adams, Jeremy Irons, Gal Gadot, Holly Hunter, and Jesse Eisenberg–who didn’t seem as fazed by it as his later comments implied. The cast briefly spoke about their characters and the setting and tone of the film. Affleck shared a funny anecdote about running into Christian Bale while they were both Halloween shopping for Batman costumes with their kids. Watch the Batman v. Superman panel below, and feel free let us know what you think of this film and the others in the comments. Tags Batman v Superman: Dawn of Justice Comic Con dc Featured Pan SDCC 2015 Suicide Squad The Man from U.N.C.L.E. Warner Bros.